More often than not, people who are looking to rent a car take the time to compare prices and read customer reviews in order to find the right one to suit their purpose. However, it is necessary to mention that the overall costs of hiring a vehicle imply more than the actual price you pay for the pre-established period during which you rent the car. Unfortunately, irrespective of how much window shopping you are doing, you will end up paying for the following fees! Unless you fill up the gas tank yourself, when returning the rented car, you will be charged extra for the fuel. While the great advantage of opting to prepay a full tank of gas consists of the fact that you will pay market price for the fuel, the downside is that you will not get any refunds for the gallons of unused fuel. In other words, you will wind up paying for what is left in the tank and since the gas prices are rather high, it means you will be taking quite a lot out of your own pocket for the sake of convenience. With regards to the option of filling the tank yourself too, you have to remember to do so as otherwise you will end up overpaying for gas. When signing the contract with the car rental service, it is important to read the policy on the loss and damage waiver carefully. While it is true that you will be completely covered and most companies include the zero-deductible coverage, it all comes at a rather spicy price usually starting with 15 pounds of more per day. Therefore, it is advisable to review your individual car insurance and determine if you have the coverage included in the policy. 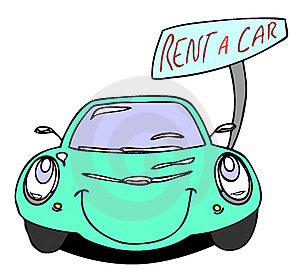 In the eventuality that the rented vehicle will be used by other drivers than the one stipulated in the contract, then you should expect the car hire company to charge you an additional price, usually around 5 pounds per day. Consequently, in order to avert overpaying, it is best to add the other potential drivers in the contract. Given the fact that including other drivers in the contract does not cost you anything if you are a member of a recognized automobile association, it is not worth the risk of voiding the car hire contract to risk this. Sadly, few people know that if you picked up the rented car at 11 am for instance, you have to return it at the exact same time or else you will be charged for another full day. In addition to respecting the time frame rule, it is necessary to mention that in many instances or unless arranged beforehand, the rented car must be dropped off on the exact agency bureau where you picked it up, or you will wind up paying another fee as well. Even though not all car rental services apply this fee, some of them charge you extra if you exceed the number of miles stipulated in the contract. Sure, the price of an extra mile may not seem like much, but don't forget that fees tend to add up quite quickly as the miles go by! For this and all the other above reasons it’s vital to check out the terms and conditions of your contract before you hire. Carhiredirect.co.uk offer a comparison tool where you can compare prices across a number of car hire companies across the world and look at their various terms of contract with regards to these above costs.